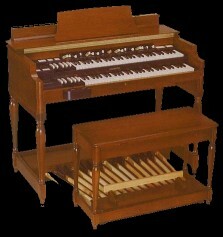 Welcome to DallasHammond, an exciting site for the Hammond Organ Enthusiast. Whether you are looking to reminisce or play, we would like to be a destination for you. We will continue to add pages, links, photos, and information both new and old. Thank you for stopping by, and please plan to visit us either in person or online. If you have any ideas or suggestions, please visit our feedback section.